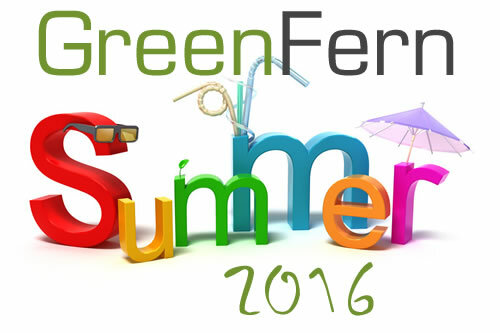 General news, updates and articles by GreenFern Garden Furniture. 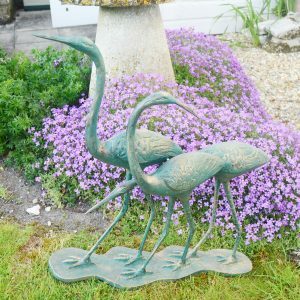 GreenFern Garden Furniture have extended their range of garden ornaments and statues with a new range of Aluminium garden features from Solstice Sculptures. 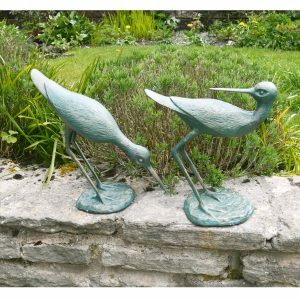 The already hugely popular Brand, Solstice Sculptures, now include highly detailed cast aluminium garden ornaments finished in a lovely Verdigris green with a subtle blend of bronze. Shown below are just a small selection from this exciting new range of garden statues. Everyone has their own unique view and distinct taste. Our large range of garden statues can help you find something to suit your taste and enhance your garden, outdoor space or even used inside in a conservatory for example! 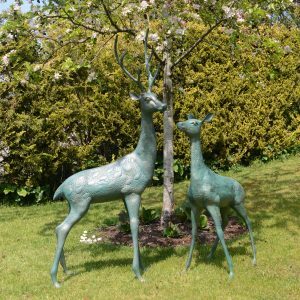 We have statues that cover the quintessentially British traditional expectations for a garden statue, through to modern contemporary art that can really make a statement and provide a compelling focal point for you and your guests attention. One of our most popular lines is our Buddha Statues, especially our wall plaques. 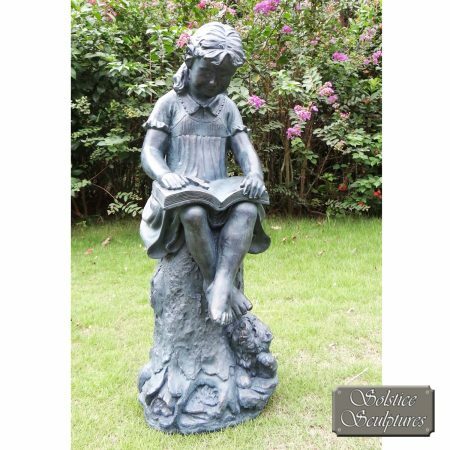 Our statues can be found in a number of different finishes from realistic poly resin stone to bronze effect or even metal finishes. We also have water features that contain LED lighting and pump systems. UK Summer 2016 – Plenty of Sunshine Coming? What is the UK Summer 2016 Weather Looking Like? As regular readers of our blog will know, as a trusted garden furniture on-line retailer, we pay particularly close attention to the UK weather. We are very hopeful for some great, long, sunny days during spring and summer 2016. Much of what will happen here in the UK is still being linked to the El Nino event – something we blogged about back in 2015 – and after one of the strongest events ever recorded the impact on our weather is still not 100% clear. Could the extra atmospheric heat lead to higher pressures and clear sunny spells; or will we see warmer weather but above average rain falls? Here at GreenFern we like to be eternal optimists though, and we are hoping for some summer 2016 sun, the perfect companion to our excellent outdoor furniture sets! We can already dream of retiring to our garden, ice filled drink in one hand, latest best seller to read in the other and sun cream applied to prevent over exposure to those damaging UV rays. If that sounds all to daunting then our range of patio furniture could be perfect for that shaded spot next to your house, or under one of our excellent garden parasols. 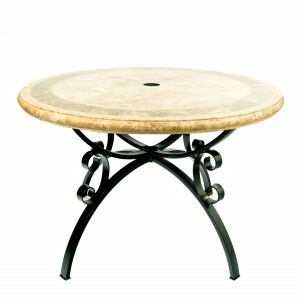 One of our recommended picks is the Monaco Travertine Marble Table. This excellent marble table is proving very popular so far this year and really does add a touch of class to your garden or outdoor space. We think this is due to the highly polished surface that literally shouts quality to you. Due to the table being made of natural stone, every table is unique. The table can be paired with existing outdoor chairs or you can view all our available Monaco table dining sets by clicking here. 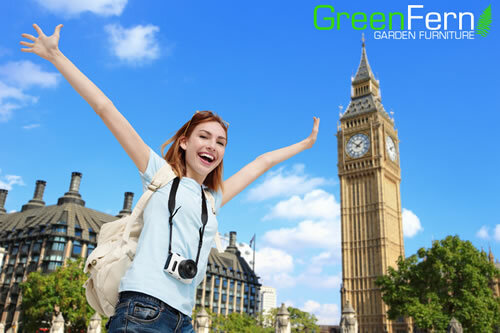 We work hard here at Greenfern to offer only the best in outdoor and garden products. As the sun started to show itself surprisingly early this year we saw the surge in customer orders a lot earlier than normal. For summer sale levels to start in April is definitely strange, although most welcome for all the team here! I write today regarding my order, an order placed less than 48 hours ago. The loungers arrived yesterday evening and yes were a little later than the courier company had advised, but, buy any standard, this was exceptional service. The products are outstanding quality, the rolls royce of loungers. I have already and will continue too recommend your company and products. Thank you so much. Now we strive for perfection at Greenfern and we immediately raised an issue with our courier company to investigate why a delivery time was given and then exceeded – even a few minutes past an allotted delivery window is not what we or our customers expect, ever! Still to receive, process, pack and dispatch the order so quickly was service even our customer recognised as exceptional. Our promise to you is to provide market leading service and to always push to exceed your expectations with both our service and our products. We want every customer to be happy and pass the “would they recommend us to family or friends” test. We are delighted when we receive any customer feedback, good or bad and you can rest assured that we take it seriously – in fact you don’t even need to be a customer to tell us what you think of our products or services! We recognise that to succeed in the online garden furniture sales world we will have to excel and deliver way more than just a traditional garden centre or ordinary on-line experience. These aren’t our own marketing words, they are actually better than anything we had managed to come up with on our own! The other great news is as of today (15th May) these sun loungers are currently on a special offer price so you can get Rolls Royce luxury at a very affordable price! Depending on where you are in the country the daffodils are either open or soon will be. With the warmer weather that will be here soon, many of us are thinking about getting out into the garden. After a long cold winter one of the first jobs to be tackled is a quick tidy and clean. This isn’t just restricted to the flower beds and lawns but your garden furniture as well. Depending on the type of furniture you have this can be a quick wash down with some warm water or a longer job of sanding and applying hardwood oil. Nowadays with the busy life styles that many of us lead more and more people are looking for furniture where the where a quick wash down is all that’s needed. It is here that Resin, or as some people refer to it Plastic, garden furniture comes into its own. Our range of furniture from Nardi of Italy is very easy to look after but still elegant and practical. 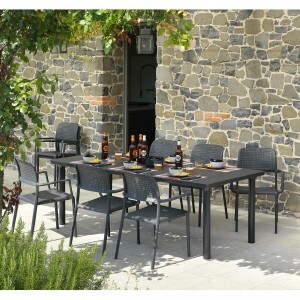 Whether you are after a 2 seat bistro set or a large 8 seat dining set we have the set for you. And don’t think that “Plastic” means it has to be white, we have it in green, brown, dark & light grey, red, orange, lime, pink, blue and of course white. 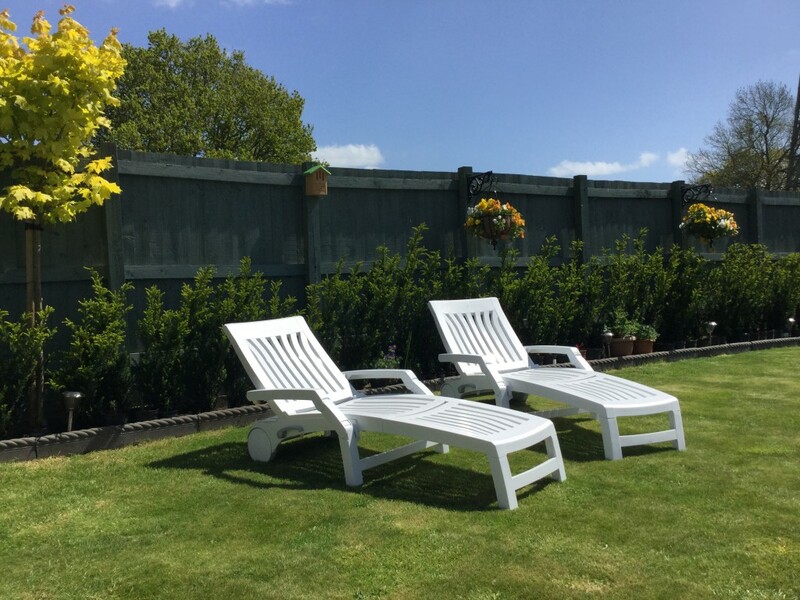 Once all the tidying up has been done plan ahead for a lovely hot summer, and think about treating yourself to a sun lounger to relax on after you’ve cut the grass at a weekend. 2014 – A Wonderful Summer Ahead? As you can imagine, here at GreenFern we spend a great deal of our time researching the weather conditions. As one of the UK’s leading supplier of outdoor products we do have a vested interest in summer weather that leads to time being spent outdoors and in your garden! So far it seems tentative that we may be in line for one of the hottest summers ever recorded! In fact the MET office have predicted there is a 25% chance that this summer will be a record breaker. However, they have also warned we may be in for some wet moments as well. Looking at these weather reports many a gardener will be happy with the mixture of sun and rain as gardens and lawns in particular will benefit the most from these conditions! In fact these conditions make a very strong case for some durable outdoor furniture that will last in all weather conditions. Our tips will be to look out for our some of our wonderful sun loungers or even some of our brand new outdoor lawn games. We have just seen a record breaking spring with the third hottest spring on record – during this time we saw a great deal of outdoor dining sets head out our warehouse to many a UK garden, but a large number of smaller bistro sets were requested in the London region! After looking at our best sellers in 2013 we have decided to make our prediction for the best sellers in 2014. You can see all of our recommended “hot picks” for 2014 below, but a special mention needs to go to our range of water sprinklers. These can be used as ornamental features for watering the lawn or as a great family fun item when it comes to summer games and enjoyment in your outdoor space or garden. It will be interesting to see, when looking back in a years time, if we predicted it right when it comes to the best selling garden furniture items in 2014! The Villena Table with 2 Malaga Chairs – A truly unique table made from hand cut slate this little bistro table is perfect for patios, garden snugs and balconies. Coupled with a pair of Malaga chairs, that feature a complimentary stone diamonds in the chair backs, this set could improve any outdoor space! The White Tucano Table with 2 Capri Folding Chairs – Like the Villena table set this is another compact garden table and chair collection. Due to the light weight of this collection we have discovered it is proving very popular with campers, caravaners and mobile home owners across the UK. The Green Toscana 100 Table with 4 Beta Chairs – Mosaic Decor Top, Check! Synthetic Textaline Chair Backs, Check! Weather Resistant, Check! Stackable, Check! Do we need to say anymore on why this excellent value garden table and chair set is such a firm favourite! The Daphne Statue – This statue is a firm favourite and we can see why! It makes a perfect gift and also invokes childhood memories and moments of nostalgia for a time we all sat and read, as opposed to having a phone, tablet or other electronic device constantly in our hands. The Nettuno Sun Lounger – This isn’t just a UK favourite but a European one as well! Many a hotel have this for their pool side sun lounger, probably because of the ease of movement with it’s wheels and how easy it is to fold and store. As years go 2013 was a strange one for garden furniture and related garden product sales as the 2013 weather was very much average except for a single burst of sunshine in July that saw our dedicated server go into overdrive to cope with the online demand for sun loungers and garden furniture. UPDATED MARCH 2014: With a strong collection of garden furniture and products for 2014 we are pleased to announce we are already seeing good early year sales, no doubt buoyed by the end of the rain in March and the first signs of some sunshine!